Tackle some of your biggest home organization challenges with the help of the small-but-mighty magnet. In most homes, the only magnets are the ones studding the refrigerator door. And while many of us would be lost without the conveniently located everyday reminders posted there, magnets are actually quite versatile and can be used in so many different ways, not only in the kitchen, but also elsewhere in the home. Scroll down to see five ingenious DIY uses of magnets. Copy your favorite project, or let others’ creativity inspire your own decorative yet functional design. As the home cook stocks up on spices, his collection can very quickly expand to the point where it takes him five minutes to find the cinnamon. 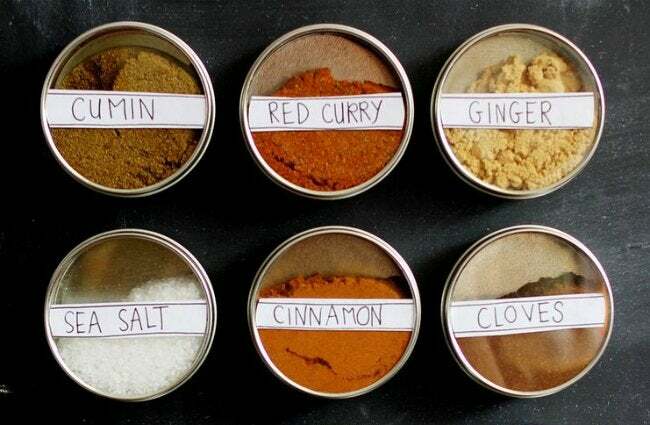 If that sounds familiar, try this trick from A Beautiful Mess: Move spices into shallow, compact containers with magnet backings that let them live on the front of the fridge. 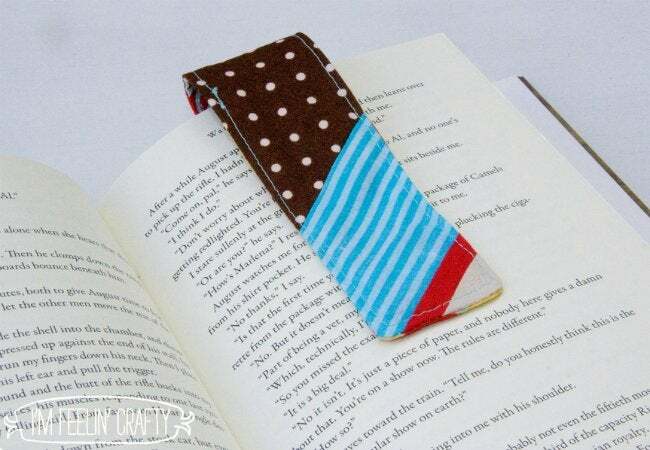 From I’m Feelin’ Crafty, here’s a way to never lose your spot in a good read. Simply stitch small, circular magnets (available at your local craft store) between two strips of leftover fabric. Even if the book jostles around in your bag for hours, this customized, eye-catching, and magnetized bookmark isn’t very likely to budge. 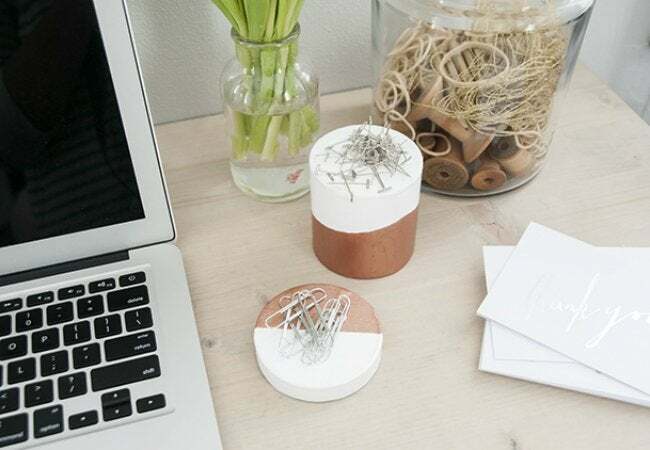 Is your desk littered with things like thumbtacks and paperclips? Magnets are perfect for corralling these metallic odds and ends, and you need not sacrifice style for better organization. Just look at what House of Earnest made by hot-gluing magnets inside leftover containers that she’d painted to complement her office decor. Simplify meal planning with this fit-for-the-fridge project from Onelmon. 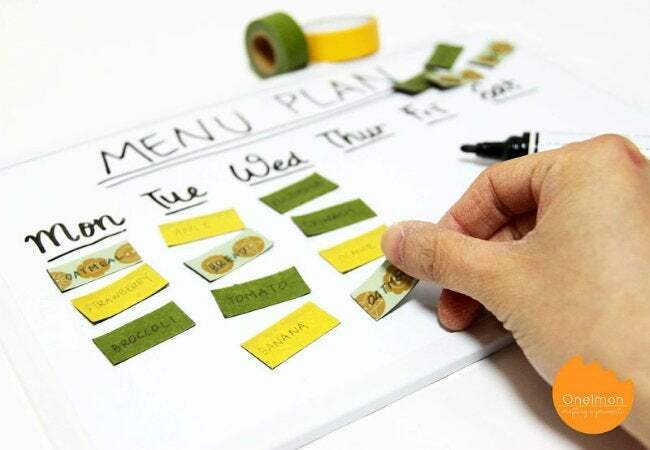 Here, handy labels made from magnetic tape (and decorated with washi tape) represent the family’s favorite foods, while the days of the week and important reminders can be handwritten on the magnetic board with markers in your favorite colors. In some parts of the home, such as the bathroom, there’s a finite set of things that you’re always reaching for. 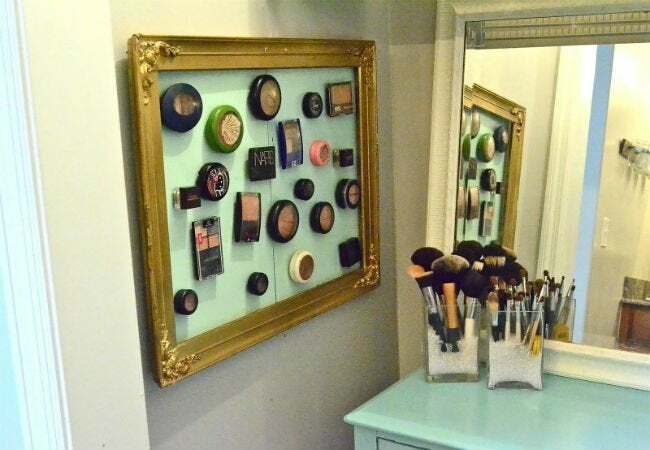 To keep these “usual suspects” easily accessible, follow the lead of Liz Marie Blog, who mounted a magnetic board (beautified with a frame), then glued a magnet to each personal item she wanted to keep close at hand.